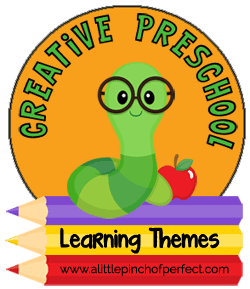 The Creative Preschooler team (that I am privileged to be in) is at it again and this week we have Valentine’s Day themed activities to share with you. Our contribution to this week is a fun pre-writing exercise that helps develop fine motor skills (cutting, lacing, and pre-writing), while helping children think about the things they love. My daughter and I had a ton of fun sitting down together and chatting about all her likes and dislikes. I think it’s important for children to understand what they do and don’t like and be able to talk about it (language skills), this way they can better express themselves in real life situations (and hopefully avoid tantrums-yeah!). I had my daughter share her Things I Love Heart with her dad when he got home. This was a perfect way for her to practice “reading” without it feeling like practice, she was simply sharing her interests with him. 2. Align the two hearts together and use the hole punch to punch holes around the bottom and sides of the hearts. The top does not need holes because it stays open. 3. Cut a piece of string, tie one end to the first hole, and put a small piece of tape on the other end of the string to make it easier to lace through the holes. Have the child use the string to lace the two hearts together. Once they have reached the end, tie it off to secure it. 4. Once the hearts are together you could personalize the heart with their name and other decorations. 1. Have the child look through the magazine and find pictures to represent things they love. Have them cut out the picture and glue it to an index card. 2. Turn the index card over, and write the name of the item in pen and have the child trace it with crayon. Depending on your child’s skill level you could skip the pen part and the child could write the letters independently. We made 10 cards. 3. Extra: Show the child the picture on the card then flip to the other side with the word and have them read the word to you. I just have to mention that I love how she chose Clinton Kelly (who I think is awesome from the Chew) to represent Dad, and look at how nice and peaceful Mom looks. Thanks for learning with us today! Click here to sign up for our weekly newsletter and receive exclusive subscriber freebies. You can also catch us on Facebook, Pinterest, Twitter. Love this! The heart is so cute! Ha! 🙂 You must be a very peaceful lady. Looks like a fun activity!